Welcome to Ultima VIII, the game which started to bring Origin downhill. Many people preferred Ultima VII compared to 8. Ultima VIII was a huge disappointment, you can't have party members, no companion meetings, . .the list can go on. No boats, gambling . .and 50% dungeons. Added FAQ by Jeff Abramson. 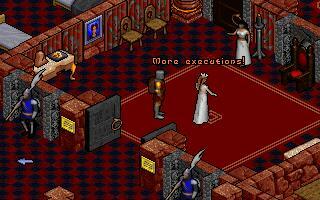 Added Mad Hatters Unreleased Unfinished Partially Working Ultima VIII Utilities in Downloads. Added Hacki's Ultima VIII Nitpicks. Interesting reading about the holes in the story line. New Walkthrough by Falliable Dragon added.